4 VGA size (640 x 480 dot) images displayed on one screen. Images in all four directions from the camera installation location are displayed on one screen. You can click on areas within images that you want to see, display a 360° fisheye image at the side of the display, and move to positions that you want to see simply by clicking. Displays one quad VGA size (1280 x 960 dot) image. You change the display area by clicking the area you want to see in the image. 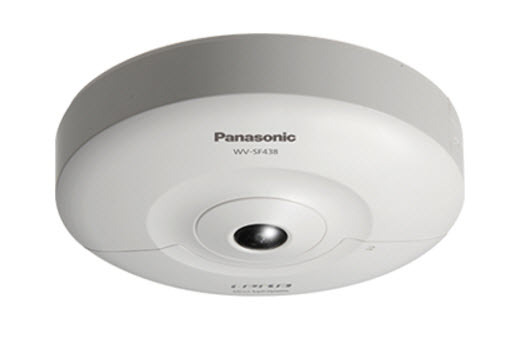 Displays full 360° fisheye images, enabling monitoring without blind spots. Shooting in all directions means that the path of everyone walking beneath the camera can be monitored. Images can be displayed in 3Mbps or 1.3 Mbps modes.